Christ The Bridegroom: Introducing...Sister Natalia! Yesterday evening, our dokimos (postulant), Victoria Olsen, was tonsured as a rasophore ("robe-bearer") nun by Metropolitan William at St. Stephen Byzantine Catholic Church in Euclid, Ohio, during Vespers for the feast of St. Nicholas. 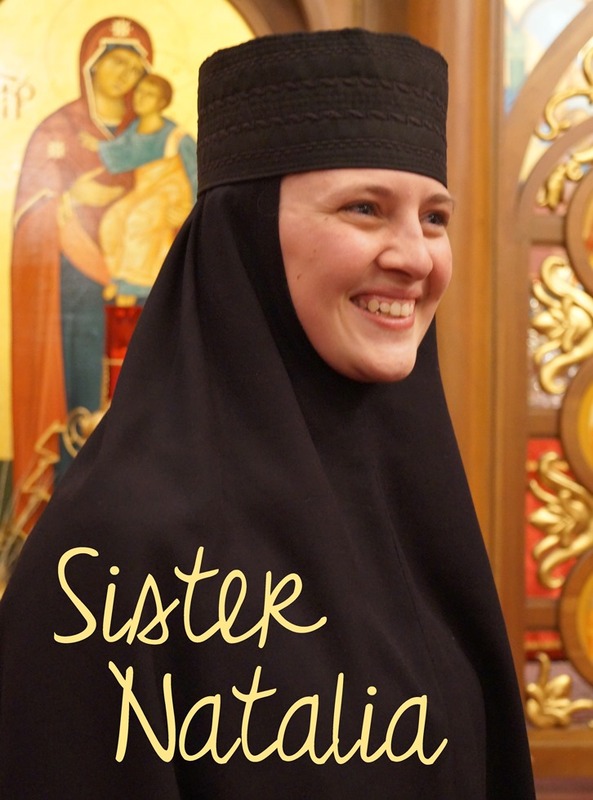 During this service, she received her habit and new monastic name: Sister Natalia! She is named after the Apostle Bartholomew (Nathaniel). We look forward to sharing more photos from the beautiful service, as well as Sister Natalia's explanation of her name. God grant you many blessed years, Sister Natalia, and blessings in your continued monastic formation and discernment! Thank you Sister Natalia for your fiat. The Church rejoices. Congrats on this most wonderful & joyous milestone, Sr. Natalia!